Former Texas Governor Perry is set to run the Energy Department, the agency he once wanted to eliminate, although he momentarily forgot about it when he was in the spotlight. Perry, who provided one of the most painful-to-watch moments of the 2012 campaign when he forgot the Energy Department was the third agency he wanted to nix, is President-elect Donald Trump's choice to lead it. Fox News reported that Trump and Perry had finalized the decision Monday night, citing sources. ABC also cited Perry's selection, citing transition sources. Energy safeguards the nation's nuclear energy stockpiles and conducts energy research, among other things. Perry was a top contender for the 2012 Republican nomination in 2012, although he entered the race later than many of his rivals. Then, he suffered a humiliating moment on live television during a televised CNBC debate when he completely blanked on the full list of federal agencies he said he wanted to nix. 'It's three agencies of government when I get there that are gone,' Perry intoned, counting the agencies off with his fingers. ' Commerce, Education and the um, what's the third one there? Let's see,' Perry said growing silent. 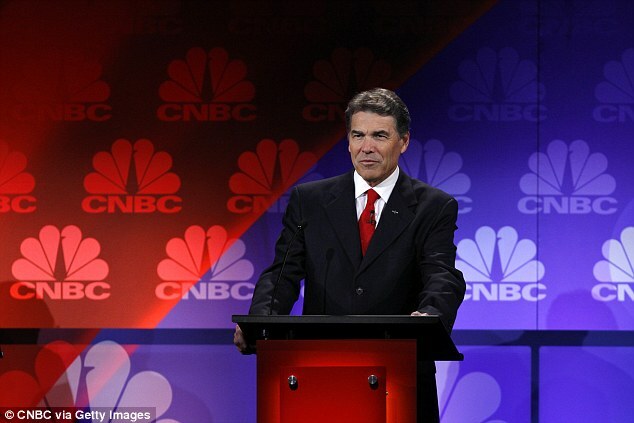 His rivals, including Mitt Romney and then Texas Representative Ron Paul tried to help him out, to no avail, while the stunned debate audience looked on. The third agency he wanted to get rid of was Energy, and agency he would lead under Trump. Perry is set to meet Trump today at Trump Tower. 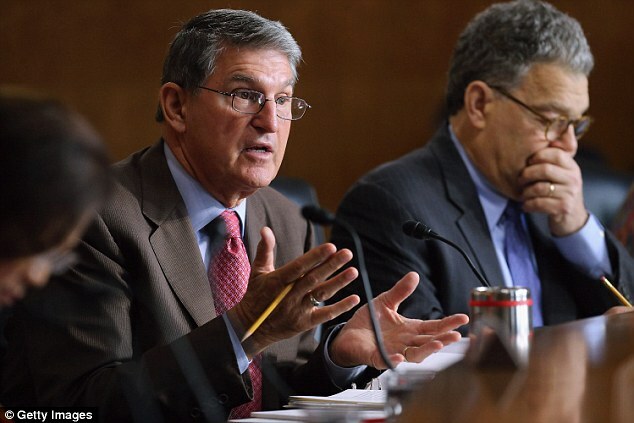 Two sitting Democratic senators also are under consideration: Heidi Heitkamp of North Dakota and Joe Manchin of West Virginia. Heitkamp would be a particularly tantalizing pick, since she hails from a heavily Republican state and likely would give Republicans an extra seat to pad their Senate majority. Perry ran again in 2015, and provided one of the strongest early denunciations of Trump when he dropped out. 'Let no one be mistaken: Donald Trump's candidacy is a cancer on conservatism, and it must be clearly diagnosed, excised and discarded,' Perry said. But he ultimately endorsed Trump. Bloomberg News reported that Perry was the leading candidate for the job. Another candidate is Dallas investor Ray Washburne. Trump met separately with both Washburne and Perry during the Army-Navy football game that he attended in Baltimore. The current Energy secretary is Ernest Muniz, a physicist who President Obama tapped to assist in negotiations over the Iran nuclear deal because of his expertise in the nuclear fuel cycle. Perry serves on the board of Energy Transfer Partners LP, which is building the controversial Dakota Access Pipeline that Trump wants to see through but Obama regulators want to move in response to tribal protests. Perry's campaign for the 2016 nomination fizzled. For much of it, he was under indictment for alleged power abuses involving his threat to kill funds to an anti-corruption agency. The counts ultimately were dismissed. 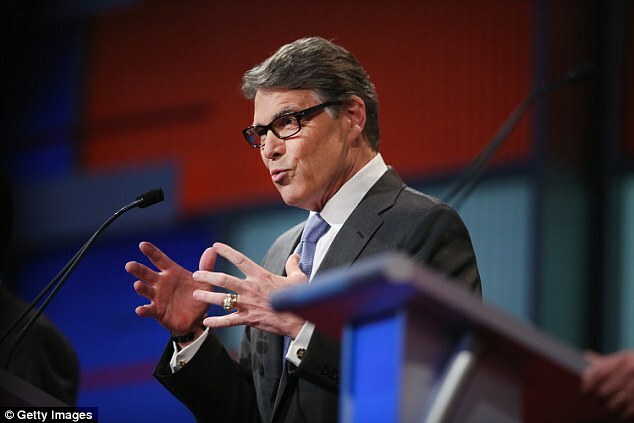 Perry would be one of several incoming picks with close ties to the oil and gas industry. The leading candidate to lead the State Department is Exxon CEO Rex Tillerson. Oklahoma Attorney General Scott Pruitt, Trump's pick to run the Environmental Protection Agency, has sued the EPA over its efforts to regulate carbon dioxide.